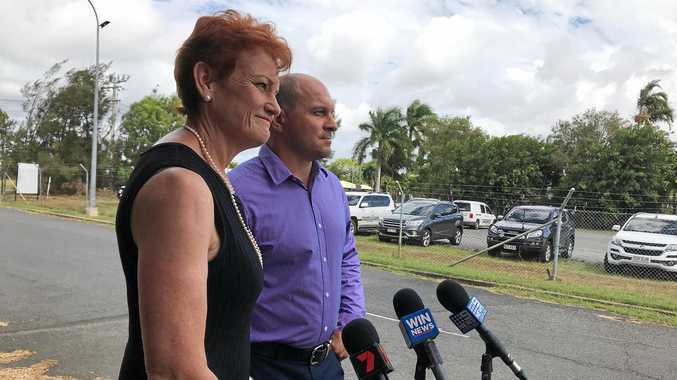 RACEGOERS around CQ started warming up for the Melbourne Cup over the weekend, with the Yeppoon Newmarket Raceday drawing a large crowd to the Yeppoon Turf Club. Arguably Yeppoon's biggest race day, the event kicked off at 10.30am on Saturday at Keppel Park. Frocks and fascinators dominated in the fashions on the field stakes, with ladies putting their best foot forward for the event. 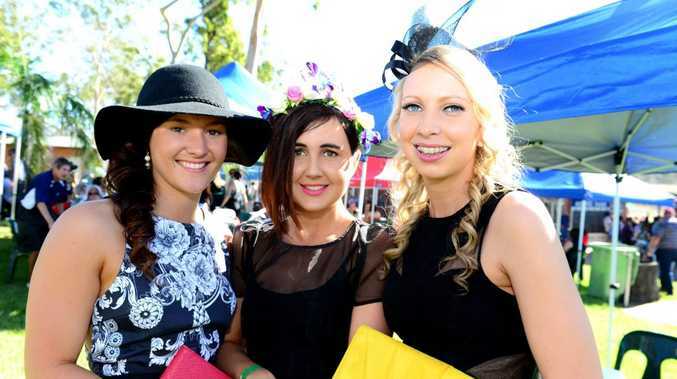 Gabby Nobbs, Steph Close and Ashlee Whouley typified the fashion of the day, and were joined at the track by racegoers from around the region who soaked up the sun at the track. There were five local races lining up at the starting gates throughout the day. A major prize of $4550 was given for first place in the GJ Gardner Homes Yeppoon Newmarket Open Handicap over 1300 metres. The event was the club's last race meet for the year. Coal Train also took the opportunity to launch The Coal Train House in the Rockhampton Hospital precinct. The Coal Train House is to be used exclusively by miners and mining families who require any emergency assistance, in conjunction with the Mining Women Support Group. Karla McPhail and Victoria Murray (pictured, inset) from the Mining Women Support Group attended the event to mark the occasion. Anticipation is now turning to the race that stops the nation, which is on tomorrow at Flemington Racecourse. The Melbourne Cup's main event will start at 3pm tomorrow, so make sure to pick up a guide before it starts. The Morning Bulletin has all you need to know before the race, with a 16-page racing form guide starting on page 17.